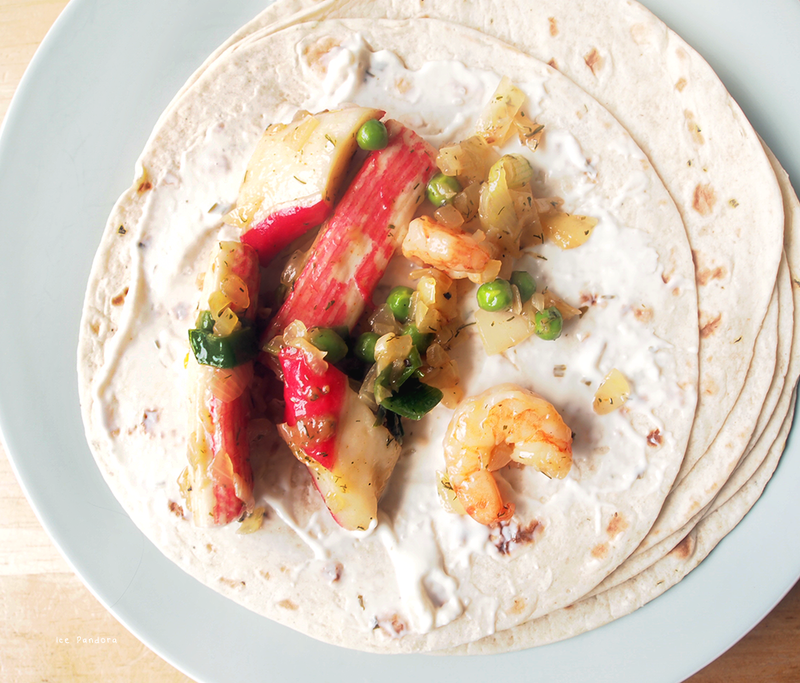 Yesterday Sunday’s lunch I’ve made these easy yet delicious seafood wraps or burritos (or..) and maybe you’ve seen them already at my Instagram! Yeah, I’m still not so sure about the name for my yesterday lunch, is it a wrap, burrito or something else? One thing for sure: it’s not a taco. I’ve told my papa that we are having Mexican food and my papa named my wraps: Mexican eggroll. Ha-ha creative name and it made me giggle, I like it! Gisteren hadden we heerlijke burrito’s of wraps (of..) met zeevruchten gehad bij de lunch en misschien heb je ze al gezien op mijn Instagram! De benaming voor de lunch van gisteren daar ben ik nog niet over uit, want is het nou een wrap of een burrito of iets anders? Eén ding is zeker: het is geen taco. 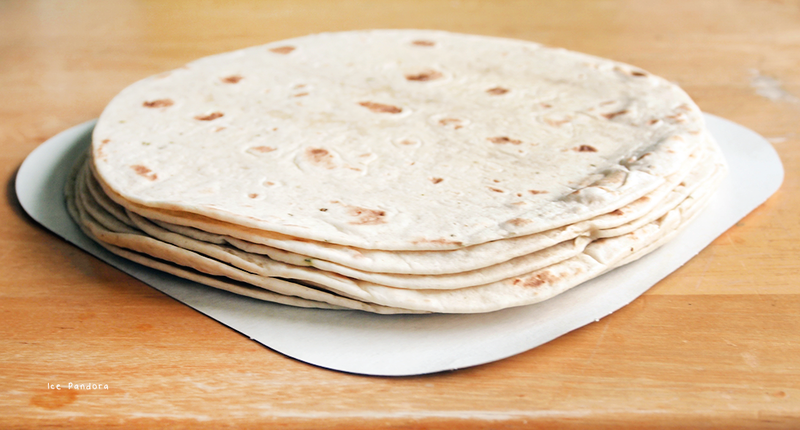 These are garlic tortilla's by the way, which means extra yum and stinky breath. I was so full after having two wrapped up goods and maybe I should kept it with one but they were so yum!! 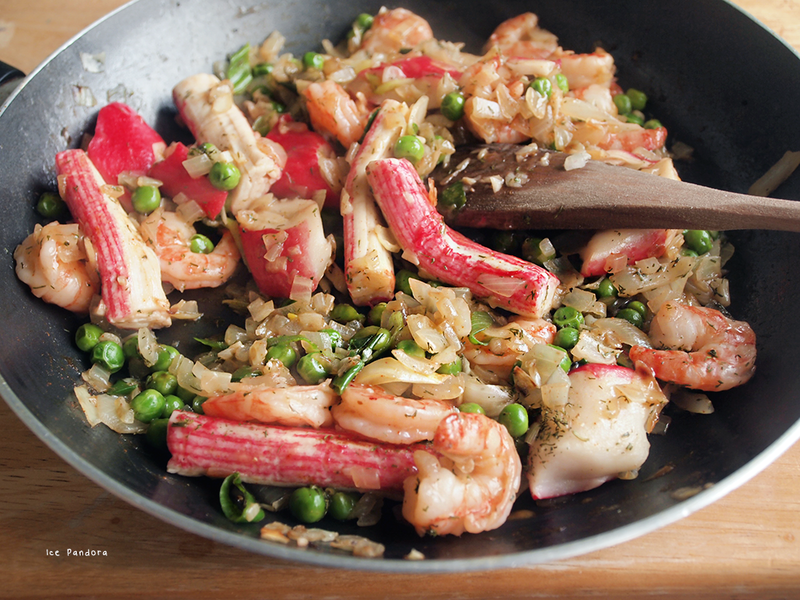 Dice the onion and garlic, season the shrimps with: salt, pepper and cornstarch and combine well. Heat up a skillet on medium fire with olive oil and fruit the onion + salt for a few minutes. Add in the peas and fruit again! Then add the garlic and fake crab meats and stir fry. Lastly add in the marinated shrimps and stir fry! To make sauce: in bowl goes 2 tbsp. water + 1 tsp. cornstarch, pepper, salt and cayenne pepper and mix it. Then add the sauce into the stir fry. You'll notice the sauce will thicken up and turns gooey. Add in dill and taste your filling. Add extra seasoning if you think you need to! 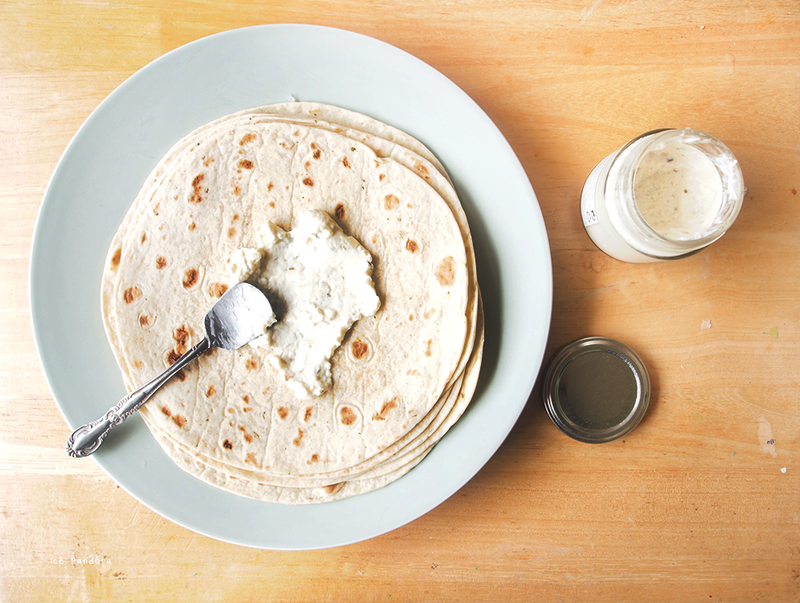 Microwave the tortilla according to package and once they are warmed up: spread a layer of yogurt garlic sauce on top. Then spoon a generous amount of filling and roll it up! Enjoy! This dish looks so so good. Wow this food is looking so delicious ! This dish looks so good! You take beautiful pictures! 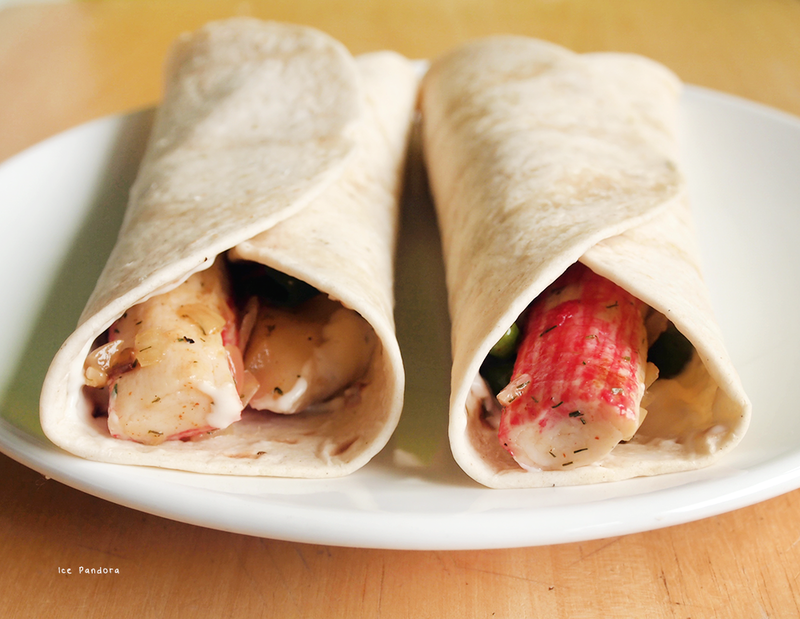 I have never seen wraps with seafood inside like this! I would love to make this for my family! Yum! That looks really good! Sadly I passed up getting imitation crab meat last time I went to the groceries :( Btw, did you make the yogurt sauce yourself? It sounds really good! Looks delicious! My stomach is grumbling, haha! Simple and yummy!! I totally NEED to make salsa and some browned chilli beef for wraps! omg! i'm crazy for wrap!! you know,whenever i went to subway..my order definitely will be wrap.i'm not sure why i love wrap so much but anything with wrap is my cup of tea.thanks for sharing girl. if i have a kitchen now, i will try your recipes.perhaps, i save this for my future use. omg i wanna be friends with you irl!! 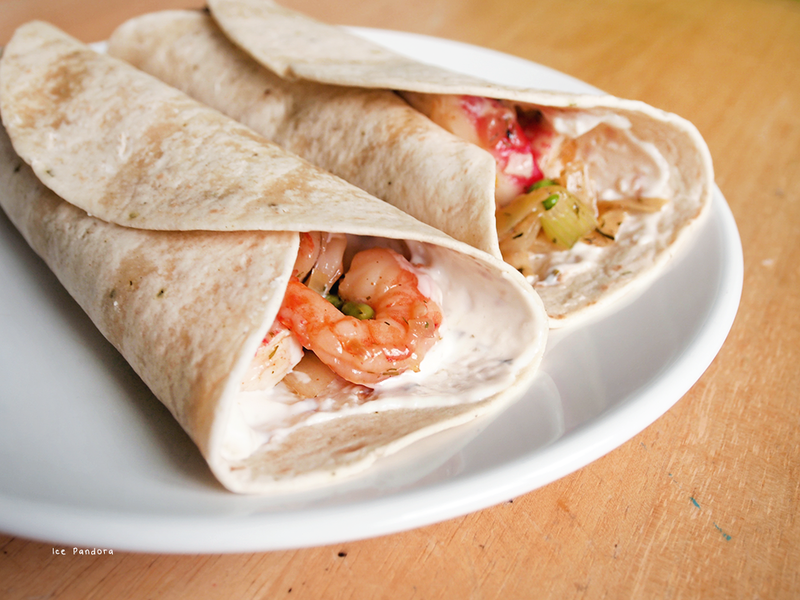 I've never thought of adding seafood to tortillas (that's the name we use here for the mexican wraps either wrapped or flat, we take the ingredient name I guess ;P), I've tried with chicken but yours is a great twist and it looks quite easy (which is someting I need for my recipes! :P). Thanks for the inspiration!